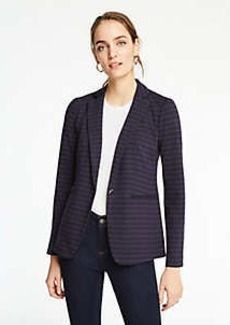 In pretty pindots, our tailored jacket is a spot-on layer - from office meeting to office party. 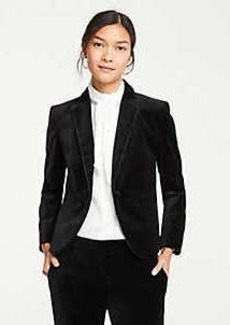 Notched lapel. Long button-open sleeves allow for versatility in styling. One-button front. Front flap besom pockets. Back vent. Lined.